5 Steps To Reverse Type 2 Diabetes and Insulin Resistance by Mark Hyman, MD | mizzeliz – working for you.. BREAKING NEWS! Some newly discovered compounds have just been found to turn off all of the genes that cause diabetes. Are these compounds found in a pill bottle? No! Instead, you’ll find them on your dinner plate — in rye bread and pasta. As I wrote in another blog about diabetes, rye contains special phytonutrients that turn off all the genes responsible for diabetes — in just a few weeks. I explained how to find out if you are pre-diabetic or diabetic. Half of the 24 million people with diabetes don’t know they have it and nearly all the 60 million people with pre-diabetes don’t know they have it. Today, I want to share with you more information about what you can do NOW to prevent and reverse diabetes and pre-diabetes. And rye bread isn’t the only answer – I’ve got a lot more good advice, too. But first I want to emphasize new research that should be headlines news but never saw the light of day. Do our current drugs treatments for diabetes actually work to prevent heart attacks and death? Surely lowering blood sugar in diabetics is an effective strategy for reducing the risk of death and heart disease. It would seem obvious that if diabetes is a disease of high blood sugar, then reducing blood sugar would be beneficial. However elevated sugar is only a symptom, not the cause of the problem. The real problem is elevated insulin unchecked over decades from a highly refined carbohydrate diet, a sedentary lifestyle and environmental toxins. Most medications and insulin therapy are aimed at lowering blood sugar through increasing insulin. In the randomized ACCORD trial of over 10,000 patients, this turns out to be a bad idea. In the intensive glucose-lowering group, there were no fewer heart attacks, and more patients died. Yet we continue to pay $174 billion annually for this type of care for diabetes, despite evidence that lifestyle works better than medications. We also pay for cardiac bypass and angioplasty in diabetics when evidence shows no reduction in death or heart attacks compared to medication. So now that we know what doesn’t work, let me review what does work. Eating in a way that balances your blood sugar, reduces inflammation and oxidative stress, and improves your liver detoxification is the key to preventing and reversing insulin resistance and diabetes. This is a way of eating that based on a whole foods diet that’s high in fiber, rich in colorful fruits and vegetables, and low in sugars and flours, with a low glycemic load. It is a way of eating that includes anti-inflammatory, antioxidant, and detoxifying foods. It includes plenty of omega-3 fats and olive oil, soy products, beans, nuts, and seeds. All these foods help prevent and reverse diabetes and insulin resistance. This is the way of eating than turns on all the right gene messages, promotes a healthy metabolism, and prevents aging and age-related diseases like diabetes and heart disease. Eat protein for breakfast every day, such as whole omega-3 eggs, a soy protein shake, or nut butters. Eat something every 4 hours to keep your insulin and glucose levels normal. Eat small protein snacks in the morning and afternoon, such as a handful of almonds. Finish eating at least 2 to 3 hours before bed. If you have a snack earlier in the day, you won’t be as hungry, even if you eat a little later. Controlling the glycemic load of your meals is very important. You can do this by combining adequate protein, fats, and whole-food carbohydrates from vegetables, legumes, nuts, seeds, and fruit at every meal or snack. It is most important to avoid eating quickly absorbed carbohydrates alone, as they raise your sugar and insulin levels. Two handfuls of almonds in a zip-lock bag make a useful emergency snack. You can eat them with a piece of fruit. Remember, real food is the best. Choose organic produce and animal products whenever possible. Eat high-quality protein, such as fish – especially fatty, cold-water fish like salmon, sable, small halibut, herring, and sardines – and shellfish. Cold-water fish such as salmon, halibut, and sable contain an abundance of beneficial essential fatty acids, omega-3 oils that reduce inflammation. Choose smaller wild Alaskan salmon, sable, and halibut that are low in toxins. Canned wild salmon is a great “emergency” food. Eat up to eight omega-3 eggs a week. Create meals that are high in low-glycemic legumes such as lentils, chickpeas, and soybeans (try edamame, the Japanese soybeans in a pod, quickly steamed with a little salt, as a snack). These foods slow the release of sugars into the bloodstream, which helps prevent the excess insulin release that can lead to health concerns like obesity, high blood pressure, and heart problems. Eat a cornucopia of fresh fruits and vegetables teeming with phytonutrients like carotenoids, flavonoids, and polyphenols, which are associated with a lower incidence of nearly all health problems, including obesity and age-related disease. Eat more low-glycemic vegetables, such as asparagus, broccoli, kale, spinach, cabbage, and Brussels sprouts. Berries, cherries, peaches, plums, rhubarb, pears, and apples are optimal fruits. Cantaloupes and other melons, grapes, and kiwifruit are suitable; however, they contain more sugar. You can use organic frozen berries (such as those from Cascadian Farms) in your protein shakes. Focus on anti-inflammatory foods, including wild fish and other sources of omega-3 fats, red and purple berries (these are rich in polyphenols), dark green leafy vegetables, orange sweet potatoes, and nuts. Eat more antioxidant-rich foods, including orange and yellow vegetables, dark green leafy vegetables (kale, collards, spinach, etc. ), anthocyanidins (berries, beets, grapes, pomegranate), purple grapes, blueberries, bilberries, cranberries, and cherries. In fact, antioxidants are in all colorful fruits and vegetables. Include detoxifying foods in your diet, such as cruciferous vegetables (broccoli, kale, collards, Brussels sprouts, cauliflower, bok choy, Chinese cabbage, and Chinese broccoli), green tea, watercress, dandelion greens, cilantro, artichokes, garlic, citrus peels, pomegranate, and even cocoa. Season your food with herbs such as rosemary, ginger, and turmeric, which are powerful antioxidants, anti-inflammatories, and detoxifiers. Avoid excessive quantities of meat. Eat lean organic or grass-fed animal products, when possible. These include eggs, beef, chicken, pork, lamb, buffalo, and ostrich. There are good brands at Whole Foods and other local health-food stores (also see mail order sources). Garlic and onions contain antioxidants, enhance detoxification, act as anti-inflammatories, and help lower cholesterol and blood pressure. A diet high in fiber further helps to stabilize blood sugar by slowing the absorption of carbohydrates and supports a healthy lower bowel and digestive tract. Try to gradually increase fiber to 30 to 50 grams a day and use predominantly soluble or viscous fiber (legumes, nuts, seeds, whole grains, vegetables, and fruit), which slows sugar absorption from the gut. Use extra virgin olive oil, which contains anti-inflammatories and anti-oxidants, as your main cooking oil. Soy Products such as soymilk, soybeans, and tofu are rich in antioxidants that can reduce cancer risk, lower cholesterol, and improve insulin and blood sugar metabolism. Increase your intake of nuts and seeds, including raw walnuts, almonds, macadamia nuts, and pumpkin and flax seeds. And yes … chocolate can be healthy, too. Choose only the darkest varieties and eat only 2 to 3 ounces a day. It should contain 70 percent cocoa. Exercise is critical for the improvement of insulin sensitivity. It helps reduce central body fat, improving sugar metabolism. Regular exercise will help prevent diabetes, reduce your risk of complications, and even help reverse it. Ideally you should do 30 minutes of walking every day. Walking after dinner is a powerful way to reduce your blood sugar. More vigorous exercise and sustained exercise is often needed to reverse severe insulin resistance or diabetes. Doing sustained aerobic exercise for up to 60 minutes 5 to 6 times a week is often necessary to get diabetes under full control. You want to work at 70 to 85 percent of your target heart rate, which you can find by subtracting your age from 220 and multiplying that number by 0.70 to 0.85. Interval training can be an added benefit to helping improve your metabolism and mitochondrial function. It helps to increase the efficiency calorie burning so that you burn more calories and energy during the time you are NOT exercising. This is described in detail in UltraMetabolism. Strength training also helps maintain and build muscle, which can help also with your overall blood sugar and energy metabolism. Calcium and magnesium and vitamin D.
Fish oil (1,000 to 4,000 mg) a day improves insulin sensitivity, lowers cholesterol, and reduces inflammation. Extra magnesium (200 to 600 mg a day) helps with glucose metabolism and is often deficient in diabetics. Chromium (500 to 1,000 mcg day) is very important for proper sugar metabolism. Antioxidants (such as vitamins C and E) are important in helping to reduce and balance blood sugar. B-complex vitamins are important and are part of a good multivitamin. Extra vitamin B6 (50 to 150 mg a day) and B12 (1,000 to 3,000 mcg) are especially helpful in protecting against diabetic neuropathy or nerve damage. Biotin (2,000 to 4,000 mcg a day) enhances insulin sensitivity. I also encourage people to use alpha-lipoic acid (300 mg twice a day), a powerful antioxidant that can reduce blood sugar significantly. It also can be effective for diabetic nerve damage or neuropathy. Evening primrose oil (500 to 1,000 mg twice a day) helps overcome deficiencies common in diabetics. I encourage people to use cinnamon as a supplement. One to two 500 mg tablets twice a day can help blood sugar control. Other herbs and supplements that can be helpful include green tea, ginseng, bitter melon, gymnema, bilberry, ginkgo, onions, and garlic. Fenugreek can also be used to help improve blood sugar ,although large amounts must be taken. Banana leaf (Lagerstroemia speciosa) can be an effective herb. Take 24 mg twice a day. I recommend konjac fiber, such as PGX (WellBetX), four capsules 10 minutes before meals with a glass of water. This helps reduce blood sugar after meals and improves long-term blood sugar control while reducing appetite and cholesterol. Stress plays a dramatic role in blood sugar imbalances. It triggers insulin resistance, promotes weight gain around the middle, increases inflammation, and ultimately can cause diabetes. So it’s essential to engage in relaxation practices on a regular basis, such as yoga, breathing, progressive muscle relaxation, guided imagery, hot baths, exercise, meditation, massage, biofeedback, hypnosis, or even making love. Your survival depends on it. 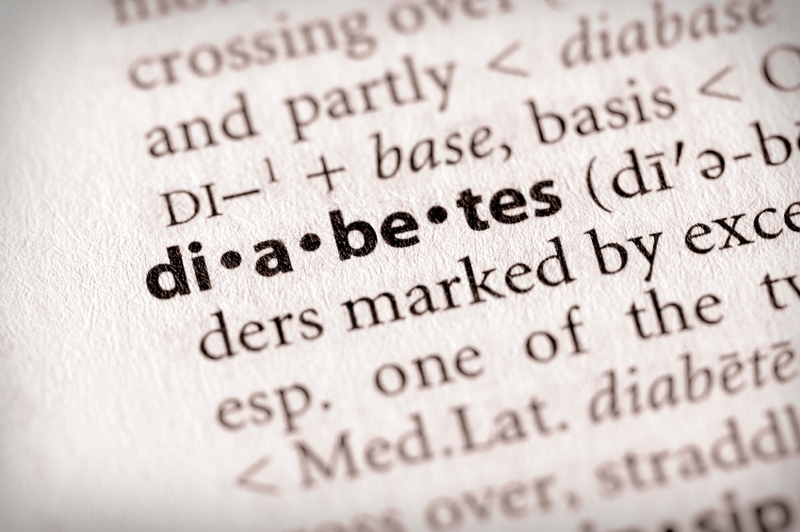 A number of medications may be helpful for diabetes. There are several specific classes of medications, each with their own effects. Sometimes combinations are helpful. These are the main classes. The biguanides, especially metformin (Glucophage), is one of the best medications to improve insulin sensitivity. It can help lower blood sugars by improving your cells’ response to insulin. Thiazolidinedione drugs are a new class of diabetes medication and can help improve uptake of glucose by the cells by making you more insulin-sensitive. They also reduce inflammation and help improve metabolism working on the PPAR, a special class of cell receptors that control metabolism. They can cause weight gain and liver damage. Thiazolidinediones include rosiglutazone (Avandia) and pioglitazone (Actos). Alpha-glucosidase inhibitors include acarbose and miglitol, which can help lower the absorption of sugar and carbohydrates in the intestines, reducing the absorption of sugar after meals. And there are newer medication on the market every day. Older medications include sulfonylureas include glipizide, glyburide, and glimepiride. I strongly recommend against these medications because they only reduce your sugar in the short term and cause further insulin production, which actually worsens diabetes over the long term. They have also been linked to high risk of heart attacks, which you are trying to prevent. They treat the symptoms rather than the cause. Insulin is the last resort after all other measures have failed and often leads to a slippery slope of weight gain and increased cholesterol and blood pressure. Many patients have been able to come off insulin entirely if they are treated early and aggressively through the other methods I’ve listed. Diabetes and its precursor, insulin resistance, are looming as the major threat to our health in the 21st century. It will affect 1 in 3 children born today, and 1 in 2 minority children. This is a tragic consequence of our toxic food environment, our unmitigated exposure to stress, our sedentary lifestyle, and environmental toxins. However, these problems are completely preventable and often reversible through aggressive lifestyle changes, supplements, and exercise and stress management. Diabetes is the biggest health epidemic triggered by the obesity epidemic, but all of our medical efforts to treat it are focused on medications and insulin. It is simply the wrong approach. If you follow these guidelines instead, you will see a dramatic change very quickly in your health, your weight, and your diabetes. Have you been told that you must take drugs to treat it? Which of these steps do you plan to take and which are you already trying? What are the results?